This new fast casual solution for restaurants can also be used for other applications. the solution shows exactly where a customer is sitting in your company. Full reporting and paging options if the customer is served late. PC paging solution that has a limitless range as it can use the internet to page a staff member or customer anywhere in the world. The system also can use email and SMS messaging if required. OptiCall handover solution for opticians is designed specifically for optometrists to handover their customers to sales staff back on the floor. This system has proved extremely successful in the UK and other countries. OptiCall is an LRS UK trade mark. Low cost product that comes as a one or six button push button. Fully programmable with custom messaging and can page an individual, a group or everyone. Battery or optional mains driven. The unit can re-page until the call is cancelled by a paged person. Completely custom made solution with custom branding if you need it. Conference Call comes in either one or two button versions. The unit can page custom text messages. Perfect for where customers use units or conference rooms. The perfect push for service solution for many applications. A free wait list application that runs on an iPad from Apple computer. 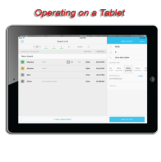 The program allows customer flow management in restaurants for faster table turns which means you become even more efficient. The application is downloadable from this website so go now and download your copy. 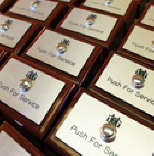 Used throughout industry either as a simple push button for service or for health and safety and first aid call buttons. The unit is waterproof and quite robust in design. The Butler XP is available in a number of colours. It can be either battery or mains driven with the optional mains kit. The word in signal boost repeaters. 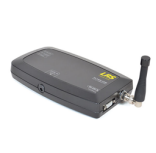 The repeater from LRS is two watts output and you can use as many as you need on any given site. There's no programming, simply plug in the unit and that's it. T7470 Repeater. Now also used to integrate with systems with rs232 interface. 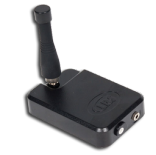 A tiny transmitter that is used to integrate in to equipment so products developed by you can easily page a pager. There are 4 dry contacts that are fully programmable. The unit is driven with a simple RS 232 port on a computer or other device. The OEM TX can also work stand alone. The law in the UK changed recently so that companies basically have to be able to provide suitable solutions for Deaf Persons when a fire alarm is activated. The Deaf Person MUST be aware of the alarm. 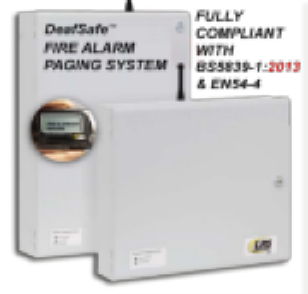 LRS UK introduces DeafSafe™ Integra (for the smaller fire alarm system) and DeafSafe™ Ultra for fully compliant solutions.